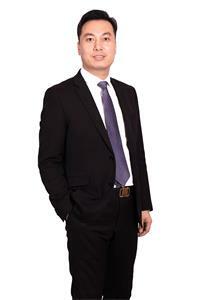 I am Qian Jun Biao, Norland Global CEO. I used to be the Vice President of Jiangsu Longliqi Biotechnology and Global CEO. I have practised in the field of biotechnology and the direct-selling industry for 20 plus years. During this period, I not only have rich experience in operation of direct-selling market, but also have a deeper understanding and pursuit of the health industry. At last it is Norland who gave me the answer to these questions. Beginning with a healthy detoxification product, with 10 years of deep ploughing and layout, Norland has gradually developed into an "industrial chain ecological matrix" covering multiple business formats of healthy and beautiful industrial clusters. This is also the best way in my heart to build a business of health and spread the concept of health. Nowadays, it is an epoch pattern of China developing with the world. Only by building a borderless super platform in the era of life economy can we become the best health ambassador and become the most promising world-class enterprise! As a national high-tech enterprise concentrated on high-tech innovation research, transformation and application in the field of life science, Norland empowers platform with technology, and is committed to become the world’s leading platform in the era of life economy through leading accurate preventive medicine industry, accurate medical industry, health care industry by traditional Chinese medicine, health industry, beauty industry and other fields. In the fulfillment of "opening the ear of life economy, benefiting everyone with health and beauty ", Norland, as market-oriented and New York-centered, develops diversified international market, continues to expand overseas markets in North America, Africa, southeast Asia through the empowerment in industrial upgrading, thus helping millions of business partners around the world to realize the dream of start-up and achieve ideal life. With nearly 30 branches in the world, Norland has launched its business in more than 80 countries and regions by far. From now on, I will adhere together with you to the Norland's faith of “making innovation, continuing beyond", centered on consumers, and continuously broaden the product consumption upgrade ecosystem, surrounding cells, gene technology, science and technology of Chinese medicine science and technology, extending and enriching product line, and make the closed loop of industry chain in whole life cycle to sustain to create value for customers. We will innovate and cultivate to promote effective development of the globalization strategy, and create a win-win business with partners from around the world together. We should benefit the people cherishing beauty and health around the world, opening a new era of life economy!